As we wind down to the Tragically Hip’s “last-ever show” on August 20, folks all across Canada are contemplating the legacy of the group. One subject that commonly gets bandied about is the Hip’s famous inability to “break through” in the States, and to garner the same degree of commercial success down there as they have up here. 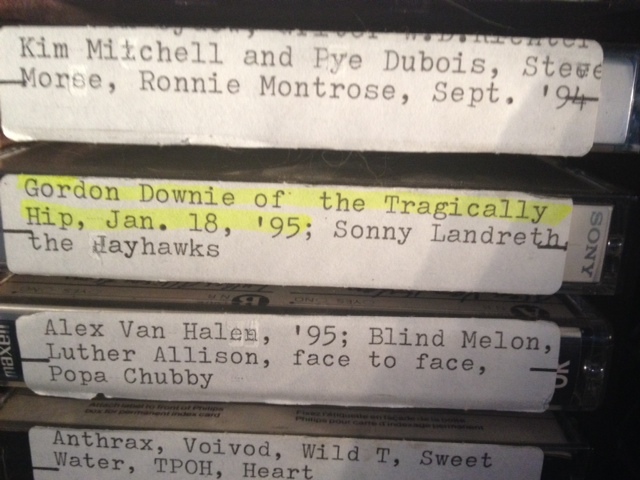 When I did my third interview with Gord Downie, in January of 1995, I asked him about that. I believe people should consider using different statements than “their last concert ever”… The Hip themselves have never announced or billed the Kingston show as such. Ya no one knows, Gord could become the last recluse and dive into major family time, or continue on with his own music which I’ve heard could surface this fall. The community itself seems to like to believe there’s more to come.